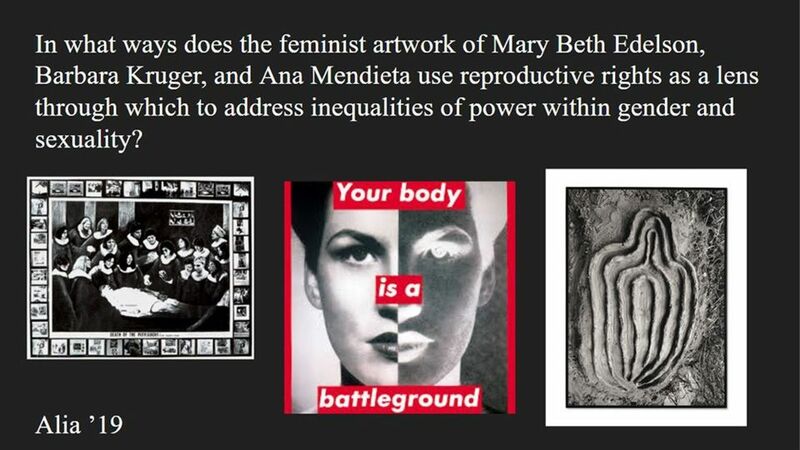 In what ways does the feminist artwork of Mary Beth Edelson, Barbara Kruger, and Ana Mendieta use reproductive rights as a lens through which to address inequalities of power within gender and sexuality? Alia delves into the reasons why feminist artists like Mary Beth Edelson, Barbara Kruger, and Ana Mendieta responded to patriarchal norms through their production of artwork that related to reproductive rights and promoted women’s empowerment. Alia enjoys languages, art history, English, and biology. 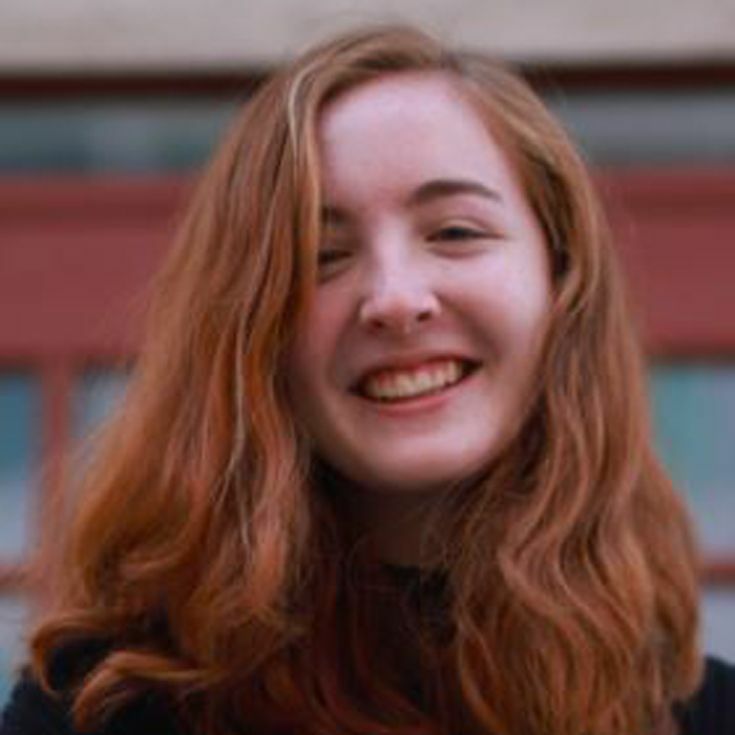 She is the senior editor of The Oracle, Bosque School’s art and literary publication and is a member of the music honors society and Spanish honors society. Alia considers herself to be a feminist and wanted to learn more about the position of female artists in the predominantly male art world during the 1970s and 1980s. Her love of art history sparked her interest in the role of feminist artists in matters concerning reproductive rights and women’s empowerment. She will be attending Oberlin College this coming fall.